Can a War on Drugs Ever Be Won? The battles against drug epidemics have taken various forms in the U.S. over the years but addiction is still a major problem in the country. Issues with both illicit drug use and prescription opioid abuse are rampant in the U.S. and the government has yet to resolve these issues. The approach that has been taken toward illegal drug use in our country has overall been a failure in a number of respects. 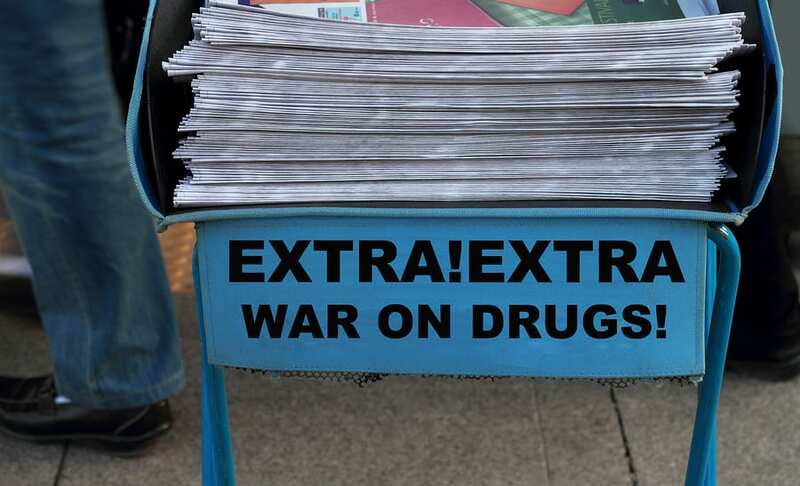 The concept behind a War on Drugs began in the 1970s as a government-led initiative working to stop illegal drug use, distribution and trade by increasing and enforcing penalties for offenders. Drugs in the U.S. starting being criminalized in 1970 when Richard Nixon passed the Controlled Substances Act which regulated and categorized different drugs in terms of their danger for addiction. He also began the War on Drugs, stating that drug use was the country’s number one enemy. Nixon increased federal funding for drug control agencies and created strict measures such as mandatory sentencing for drug crimes. He also created the Drug Enforcement Administration of DEA in 1973 which was responsible for tackling drug use and smuggling in the country. Former members of Nixon’s cabinet have suggested that the War on Drugs had ulterior motives that were racist in nature and also meant to target the antiwar left. In the mid seventies, Jimmy Carter decriminalized marijuana and the War on Drugs took a hiatus. It wasn’t until the 1980s that the Reagan administration began to reinforce and expand Nixon’s anti-drug policies including Nancy Reagan’s “Just Say No” campaign meant to educate children about the dangers of drugs. Reagan’s policies led to a significant increase in incarcerations for nonviolent drug crimes and many critics say he unfairly targeted the African American community with arrests. The campaigns led by Nixon and the Reagan administration were largely ineffective and some say led to a greater racial divide. Public support for the war on drugs diminished in recent decades because of these problems and some efforts have been made to reduce what many viewed as racist discrepancies between drug offenses. Marijuana has been legalized in several states in the country which implies that a more tolerant view of drug use has been growing throughout the U.S.
Interestingly, the U.S. approach of “cracking down” on drug use by increasing arrests and imprisoning drug offenders was less effective than an opposite approach taken in Portugal. The government in Portugal decided to combat their illicit drug problem by decriminalizing the possession of small amounts of drugs in 2001 including heroin and cocaine. Instead of incarcerating people for their drug use, the government decided to run a major public health campaign to combat addiction. In Portugal the issue of addiction is treated more like a medical challenge rather than a criminal justice issue. Amazingly, their approach helped reduce addiction dramatically with heroin use dropping from 100,000 people when the policy began to only 25,000 today. Portugal now has the lowest drug mortality rate in western europe and it is only one fiftieth of the current rate in the U.S. Given the U.S.’s current drug epidemic with overdose deaths reaching 64,000 last year, it might be useful to look at other models like Portugal in our approach to fighting drug addiction. The U.S. has been devastated by issues with drugs like opioids that have reached epidemic levels of abuse. A more health-driven approach may be the answer, rather than our past efforts to send all drug offenders to prison. Looking at a country like Portugal, the way to actually win the war on drugs is to consider addiction as a disease that needs expanded medical treatment. Drug treatment programs in the U.S. can be difficult for people to access but in Portugal the government provides free methadone to addicts using mobile vans that travel across cities. If the U.S. government could create easier and more affordable access to drug treatment it would help reduce overdose deaths and rates of addiction. Although there is no one answer to ending the war on drugs, increasing treatment and expanding health campaigns could help save many lives. The number of drug-related deaths in the U.S. is staggeringly high compared to most of Europe. The U.S. may already be in the process of decriminalizing drug use as is the case with marijuana, but educating people about addiction and providing them with care is the most effective solution. The U.S. may never fully decriminalize drug use but looking at addiction as a disease and not a punishable offense can help change our mindset in a way that could prove more successful in future efforts to reduce drug problems.